Agriculture is one of the most vital industries in the world and always has been. But one drawback of being one of the oldest and largest human endeavors is that change can be hard-won and slow to come. The attempt to pivot toward more sustainable agricultural technologies and techniques lays bare how resistant to change agriculture can be. Nevertheless, real-world solutions to the emissions problems in agriculture are now within our reach. Developing and deploying them will be challenging, but it’s clear this industry, and the world at large, is ready to pay more mind to the environmental footprint this pillar of human activity represents. Animal-based agriculture is poised for significant growth in the coming decades as the world population balloons further. Pigs are the most popular “meat animal” worldwide, followed, in order, by chicken, cows, and sheep. Among world citizens who subside on $1 USD per day, 70 percent depend entirely on animal livestock for their food and livelihood. That makes the “sequestration” — the “accounting for” — of greenhouse gas emissions (GHG) from animal livestock a problem for the developed, developing, and impoverished world communities, in equal measure. According to World Watch, raising animals for human use contributes to at least 18 percent of GHG emissions, 40 percent of methane emissions and 65 percent of worldwide nitrous oxide emissions. These gases have been identified as some of the most problematic for exacerbating climate change. Moreover, about three-quarters of the antibiotics administered to livestock is evacuated as waste, meaning it can enter the water table and lead to more resistant bacteria. 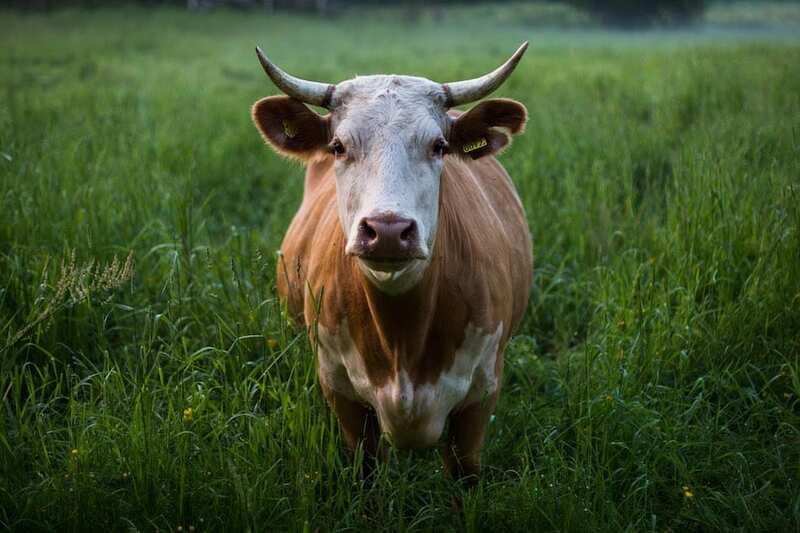 Replacing soy-based animal feed with regional pasture feed can reduce methane emissions produced by the fermentation and digestive processes. Better optimize the use of manure as fertilizer instead of using chemical fertilizers. Rotate grazing lands more regularly to prolong their life and allow the health of the soil and plant life to return. Next, let’s turn to sources of energy. There are many parcels of farmland, and lots of space atop farmhouses and agricultural outbuildings, that can play host to solar power arrays. And with the efficiency of solar panels improving regularly, there’s increasingly little excuse for farms to supplement some or most of their “incumbent” energy sources with greener alternatives. Performing this transition is as vital in agriculture as any other industry. For a farm of any size, having a professional perform an on-site energy audit could help pinpoint places where industrial machinery, lighting systems, climate control, essential appliances, and much more, aren’t performing as efficiently as they can be. Sometimes, replacing a piece of production equipment, or changing over a building to a solar-powered water heater, for example, can be the long-term cost-effective choice versus making do with higher energy bills and a larger-than-necessary carbon footprint. Have regular preventive maintenance performed on all HVAC equipment. Replace combustion-powered vehicles and equipment, whenever possible, with electric and battery-powered models. Become conversant in local, state and federal guidelines for emissions compliance — and save yourself effort and money in the long run by looking for equipment partners who are proactive about compliance. For parts of your property, including interiors, that don’t require lights 24/7, install a smart lighting system that can trigger itself on and off automatically, as needed by personnel. Anaerobic digestion processes and biofuel production using animal and crop waste and residues are already cottage industries helping farmers cut down on the emissions from their operations, and offset their operational costs besides, by leveraging assets they already own. The synthetic gas (or “syngas”) produced via gasification from crop residues can generate electricity, or used in the production of diesel, gasoline or ethanol. A renewed effort to improve the health and genomics of herd animals to yield more product per “head” and thereby make farming in general a more efficient endeavor. Improve the health of animals and farmland, and boost yield even further, by repurposing farmland slurries and regional legumes as animal feed. Doing so can also reduce nitrous oxide output. The development of lower-emission chemical fertilizers continues apace. So do campaigns to educate farmers, especially in quickly developing regions, on the benefits of using fewer fertilizers in optimizing crop yield and reducing environmental damage. In short, there’s every reason to be excited and optimistic about the future of agriculture. Whether plant-based or animal-based, it will forever be a cornerstone of human civilization. It’s heartening to know how many voices are calling for better technologies and wiser industrial practices. Now that we know the size of the footprint, there’s every reason to double down on finding solutions.